Steven A. Johnson served in Vietnam from April 1967 to May 1967 with the 3rd Reconnaissance Battalion, 3rd Marine Division. Some of the high spots he hit in his tour of duty include Phu Bai, Khe Sanh, and Quang Tri. Johnson served more than seventeen years in the Marine Corps, and even made it to Desert Storm, during which he was deployed to northern Norway. He has chosen to write his book, Cammie Up! Memoir of a Recon Marine in Vietnam, 1967:1968 (McFarland, 288 pp., $29.95, paper), an account of his time as a Marine in Vietnam in what he refers to as civilized dialogue. Filthy language is in short supply. Because I was raised by a World War II Marine Corps veteran who fought at Iwo Jima, this choice surprised me, but who am I to question it? The narrative still manages to be believable, interesting, and sometimes humorous. It also communicates to the reader every possible detail of what it was like to be a recon Marine in Vietnam. Bugs, snakes, leeches, scorpions, rock apes, wapiti, lizards, rats, and ticks all make their appearances and lend much flavor to the narrative. The plants Johnson encounters are only a bit less dangerous. Cammie Up! Is one of the few Vietnam War books I’ve read written by a grunt that places the blame for “How We Lost the War” (Appendix C,) squarely on President Johnson and Robert S. McNamara, and which also gives details of McNamara’s “shameful brainchild”, Project 100,000, also known as “McNamara’s Morons.” Johnson also casts blame at Walter Cronkite and Jane Fonda. I was disappointed that no blame was attached to General Westmoreland. John Wayne and REMF’s get lots of mentions, but not much blame. This interesting, well-written, and well-edited memoir is the last word in thoroughness about what a Marine Corps Recon Marine did in Vietnam, and how he was trained to do that job. Also included are useful maps, an excellent index (which somehow omits Jane Fonda), a short glossary, and lots of interesting photos. The text is enriched by the inclusion of many letters home written by Johnson, which give a lot of contemporary flavor. I was also gratified that the author included a lively, short section on his encounters in-country with Agent Orange, and what the fallout of that poison resulted in for many of us. I highly recommend this memoir to any reader who wishes to learn everything about Marine recon. 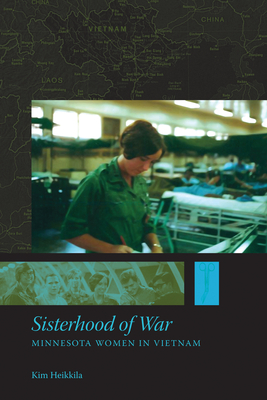 Kim Heikkila’s Sisterhood of War: Minnesota Women in Vietnam (Minnesota Historical Society Press, 232 pp., $19.95, paper) looks at fifteen women from the Land of 10,000 Lakes who served as nurses in the Vietnam War. She melds their stories into six chapters that look at the nurses’ relationship with the troops, their war-zone experiences, their homecomings, and their postwar adjustments to life back home. The group of women includes Diane Carlson Evans, who went on to spearhead the effort that led to the creation of the Vietnam Women’s Memorial in Washington, D.C. Several other Minnesota women nurses, including Donna-Marie Boulay, also worked to build the memorial—which is the subject of the book’s final chapter. When you think of the most influential voices in the antiwar movement during the Vietnam War, the names Dr. Benjamin Spock, David Dellinger, Phillip and Daniel Berrigan, Abbie Hoffman, Rennie Davis, Daniel Ellsberg, Jerry Rubin, Joan Baez, Jane Fonda, Tom Hayden, Eugene McCarthy, George McGovern, Norman Mailer, I.F. Stone, and J. William Fulbright go to the top of the list. According to Louis B. Zimmer, a professor emeritus of history at Montclair State University in New Jersey, another name belongs in the group: the legal scholar and activist Hans J. Morgenthau of the University of Chicago. In The Vietnam War Debate: Hans J. Morgenthau and the Attempt to Halt the Drift into Disaster (Lexington Books, 430 pp., $85), Zimmer details Morgenthau’s extensive anti Vietnam War activism. Zimmer, as the subtitle indicates, also strongly condemns those who took America into the Vietnam as well as those who prosecuted the war. 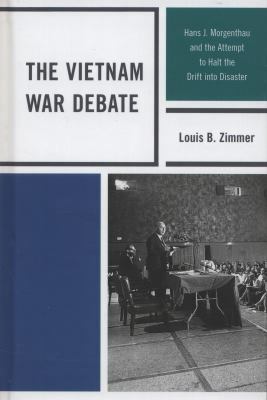 Morgenthau, Zimmer argues, made the case that the the communist insurgency in Vietnam was never a threat to American national security and that the war should never have been fought. Morgenthau is Zimmer’s hero in the book. As for his villains, they are the usual suspects: the government officials and journalists who supported the war. That list includes Presidents Kennedy, Johnson, and Nixon, as well as top Vietnam War presidential advisers Henry Kissinger, McGeorge Bundy, Dean Rusk, Walt Rostow, and Robert McNamara, and the journalists Leo Cherne, Norman Cousins, and Joseph Alsop. From the battlefields of the American Revolution to the mountains of Afghanistan, America’s servicemen and women always have had dedicated battlefield medical personnel: medics, corpsmen, nurses, doctors, surgeons, and medical technicians. 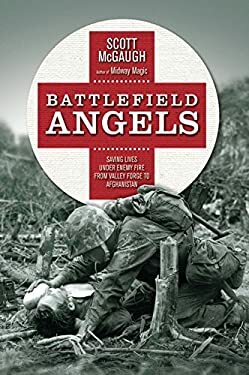 Scott McGaugh’s Battlefield Angels: Saving Lives Under Enemy Fire from Valley Forge to Afghanistan (Osprey Publishing, 272 pp., $24.95, hardcover) pays tribute to the men and women who, for generations, have fought to save the lives of American troops on battlefields across the nation and the world. A longtime journalist, McGaugh—who is the marketing director of the USS Midway Museum—uses interviews and written first-hand accounts to present individual stories of military medical personnel from all of America’s major wars. While his main goal is to showcase their courage and honor of, McGaugh also sets out chronological accounts of the wars to demonstrate how battlefield care has evolved and greatly improved over the centuries. Battlefield Angels features two chapters on the Vietnam War, including the story of Medical Officer Gary Kirchner’s effort to save the lives of hundreds of USS Forrestal sailors after a massive fire broke out due to the misfire of a rocket in 1967. 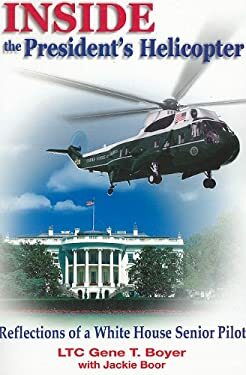 Retired Army LTC Gene T. Boyer’s Inside the President’s Helicopter: Reflections of a White House Senior Pilot (Cable Publishing, 416 pp., $24.95, hardcover; $17.95, paper) tells the story of a “dirt-poor” kid’s journey from a working-class Ohio home to the cockpit of Army One. A veteran of the Korean and Vietnam wars, Boyer survived being shot down while flying in Vietnam during his 1966-67 tour, during which he put in more than 7,000 hours of flight time, including 376 combat hours in the air. After his Vietnam War tour of duty Boyer returned to the White House unit. In his book, written with Jackie Boor, Boyer provides readers a rare and unique behind-the-scenes perspective on the lives of five American presidents (Eisenhower, Johnson, Nixon, Ford, and Reagan), diplomats, and celebrities he flew around the world. Throughout this book, Boyer offers a wide range of compelling, humorous, historical, and insightful stories from his time as Army One’s senior pilot. From risky landings in the mountains of Peru, to flying President Nixon off the White House lawn on August 9, 1974, following his historic resignation, Boyer’s anecdotes present some of history’s best-known and little-known events through the lens of an insider few in Washington even knew. Sandra Lockney signed up for the U.S. Army’s Special Services Program in 1964 when she was twenty-three. She did a one-year tour in South Korea with the U.S. Army’s Special Services, and a second tour in Vietnam in 1967-68. So, What’s a Nice Girl Like You Doing in a Place Like This? 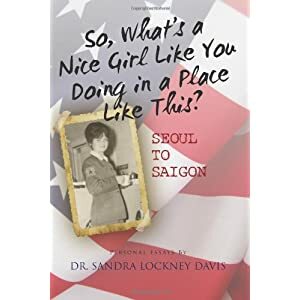 Seoul to Saigon: Personal Essays (CreateSpace, 330 pp., $21.95, paper) is Sandra Lockney Davis’s memoir that centers on those two tours of duty. This is a readable, dialogue-filled book, replete with lots of photos of the author in Korea and Vietnam, along with cartoon illustrations by Terri Zuber. Ann Kelsey, who also served with Army Special Services in Vietnam in 1969-70, provides a short introduction and, in a postscript, a longer look at women volunteers in civilian-staffed recreation programs in Vietnam. David Nelson and Lee Roy Herron were high school buddies in Lubbock, Texas. They joined the Marines together after college in 1966. They both became officers. From that point on, though, their paths diverged. Lee Roy Herron became an infantry officer, went to Vietnam, and was in the thick of things with A Company, 1st Battalion, 9th Marines. He was killed in action on February 22, 1969, while charging an enemy machine gun bunker in the A Shau Valley during Operation Dewey Canyon. His commanding officer, Wesley Fox, later received the Medal of Honor for his courage under fire in that engagement. David Nelson took a different path in the Marines. “I would not go into the infantry. I would not go to war. 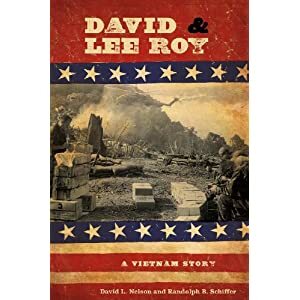 I was going to law school,” he says in David and Lee Roy: A Vietnam Story (Texas Tech University Press, 288 pp., $29.95), which Nelson co-wrote with Randolph B. Schiffer. After law school at SMU, Nelson put in his three years in the Marines as a JAG officer. As he predicted, he never made it to the war zone. For decades after his friend was killed, Nelson harbored a nagging case of survivor guilt. After meeting Wesley Fox by chance in 1997, Nelson went on a quest to learn more about Herron’s death. Nelson delved deeply into the voluminous files at the Vietnam Center at Texas Tech University in his hometown. He interviewed men who served with his old friend in Vietnam. He even made a trip to Vietnam. After returning home in 2001, Nelson set up the Lee Roy Herron Endowed Scholarship at Texas Tech. That scholarship funds research trips to Vietnam for students studying the war through the Vietnam Center. Another result of Nelson’s quest to honor his friend is this book. It is partially written in the first person by Nelson, telling his own story, and in the third person telling Herron’s story. In both sections the authors tell their tales very readably, using a great deal of reconstructed dialogue.